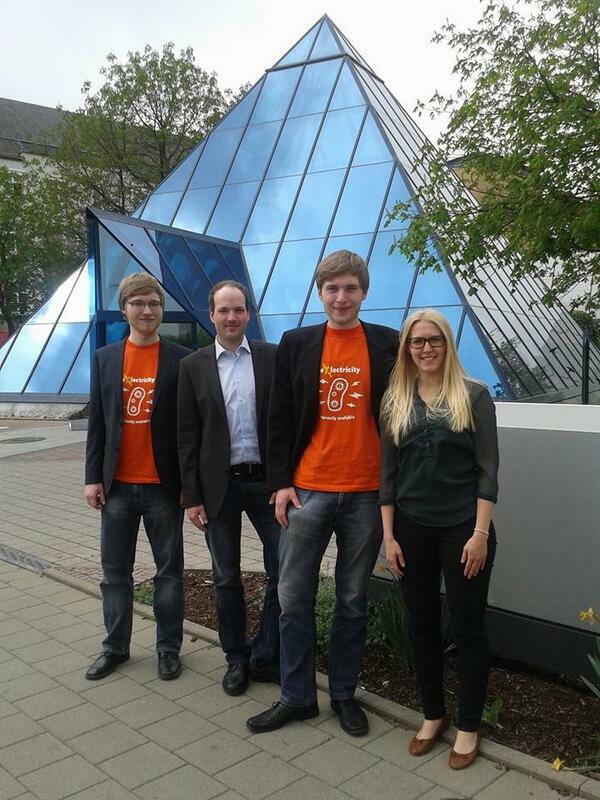 Traditionally the iGEM team Bielefeld visits Merck in the initial phase of their project. Merck is a sponsor of team Bielefeld in the fifth year and we are grateful for their scientific advice. 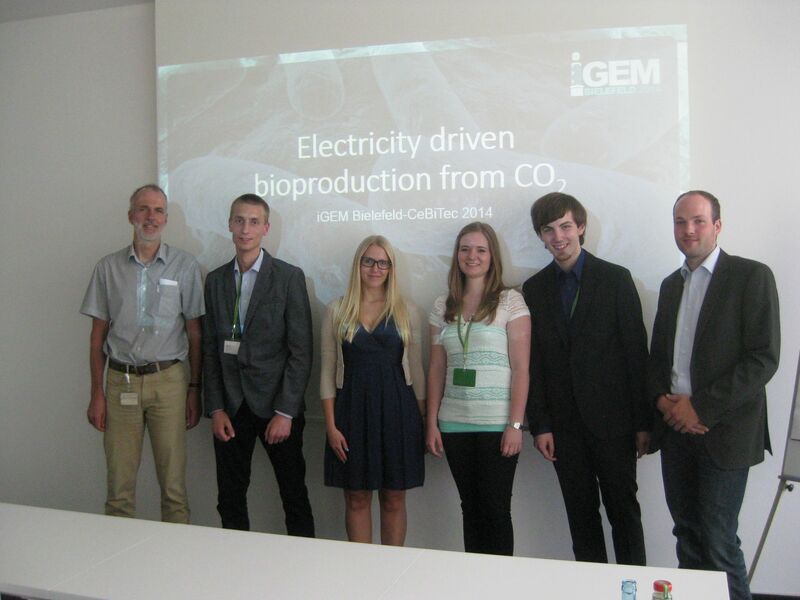 In February two team members have been there with the iGEM team Bielefeld 2013 for a short introduction. There we presented some project ideas followed by lively discussion. A couple of weeks later, when we finally had our project theme, we visited Merck Darmstadt again. Prof. Dr. Herget organized that the meeting and invited many colleagues by which he meant that they could help us. We did a presentation about our project idea and afterwards we discussed our scientific approaches. For us it was very helpful in more than one aspect. On the one hand, it was a good experience to give a presentation in front of experienced researcher. On the other hand, the advices and suggestions where we should set our priorities and what we could neglect were very helpful in the further project planning. Prof. Dr. Herget offered us his help for any problem that might occur during our project. If he could not help us, he gave us the contact of a colleague who could help us. 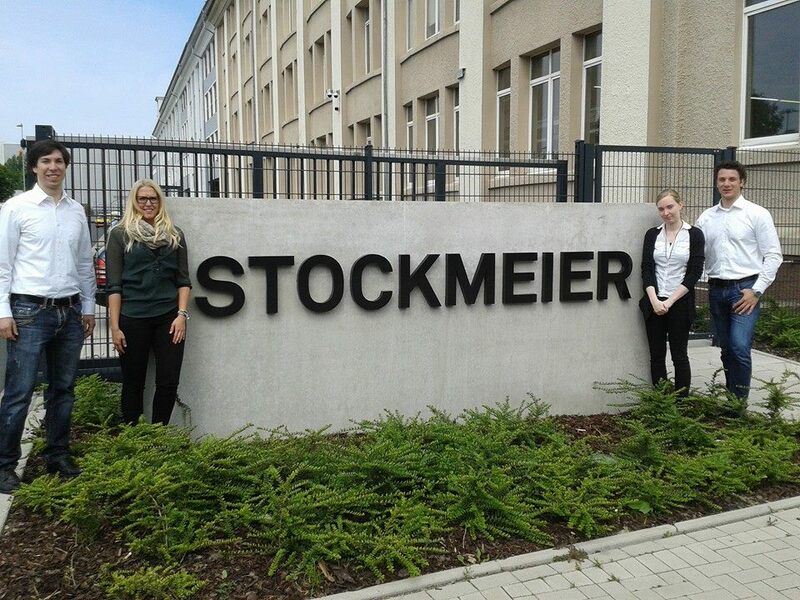 This year we hold the first presentation at Stockmeier Bielefeld, the regional Gold sponsor of our team. After we did a presentation about our project idea, we discussed our scientific approaches with Peter Ellinghorst and other colleagues of him. They had some good suggestions for chemical problems with mediators we had. During our research we found out that the Dechema research institute is investigating electrically active microorganisms. That is why we visitet them in their labotatory in Frankfurt.